There are many different types of concrete slab floors available for home builders, including on-ground, suspended, and insulated slabs. 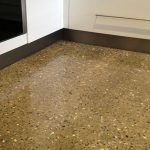 While conventional concrete is still the most common material used for slabs, there are several new materials available now that will give you energy efficient concrete floors with a reduced ecological impact. Concrete slabs have thermal mass, which is the potential of the material to store and release thermal energy. 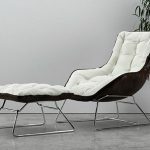 Materials with high thermal mass can help to regulate the indoor comfort of your home by absorbing heat, thus having a cooling effect on your home. Concrete slabs are highly durable. If placed and compacted properly to ensure that there are no voids or porous areas, the slabs can have a nearly unlimited lifespan. To ensure the longevity of concrete slabs, avoid cracks by ensuring proper preparation of the foundation, appropriate water content in the mixture and proper placing and compaction. 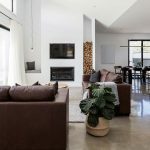 When designing a home with concrete slabs, you need to consider the acoustics. While these slabs are good at reducing sound from music or conversations from one level of the home to another, some impact noises may still be transmitted, such as high heels on a tiled floor. Using an acoustic barrier in the ceiling can help to reduce these noises. In addition, you should design the floor plan to close off spaces from each other as needed. Large flat ceilings tend to transmit too much noise, so adding dropped bulkheads, sloped ceilings or cupboards can help to absorb sound, especially if lined with a softer material. If you are renovating your home and want to incorporate concrete slabs, you can trying using slab-on-ground or suspended slabs. 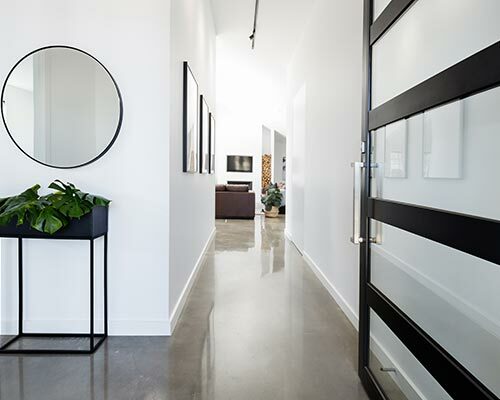 If the rooms you are renovating have timber floors, it may be possible to replace the timber with concrete slab to add thermal mass and reduce noise. For the concrete’s thermal mass to work effectively, it must be able to interact with the interior of the house. 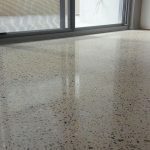 You can cover the slabs with various types of finishes that provide insulation, such as carpeting or polished concrete. It is important to remember that the design of concrete structures should always be undertaken with the consultation of a qualified person, such as a building contractor a structural engineer, and should not be undertaken by a person who is unfamiliar with the work.